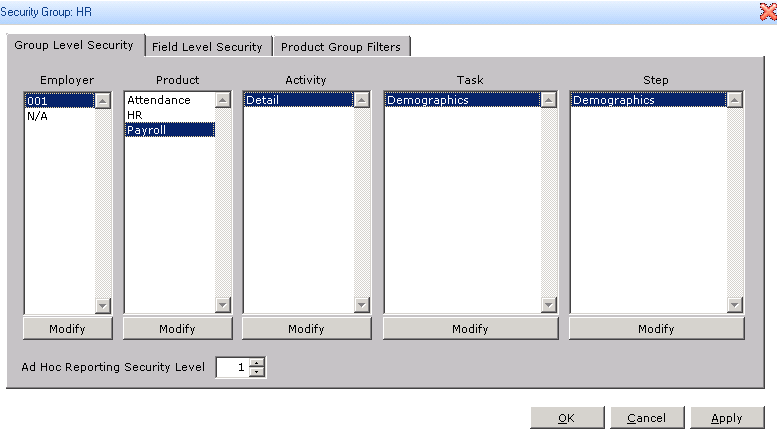 With the release of the SQL Sage HRMS program, there are a few differences from the older version of Abra. 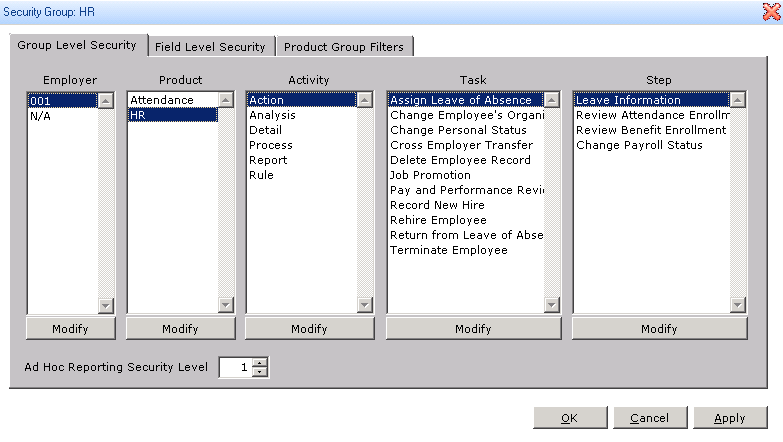 One difference is the separate databases that make up the HR and Payroll modules. This can cause an issue with security within the program if you happen to have multiple users setup with different rights to the system. Scenario: You have a user with HR rights and a user with Payroll rights. 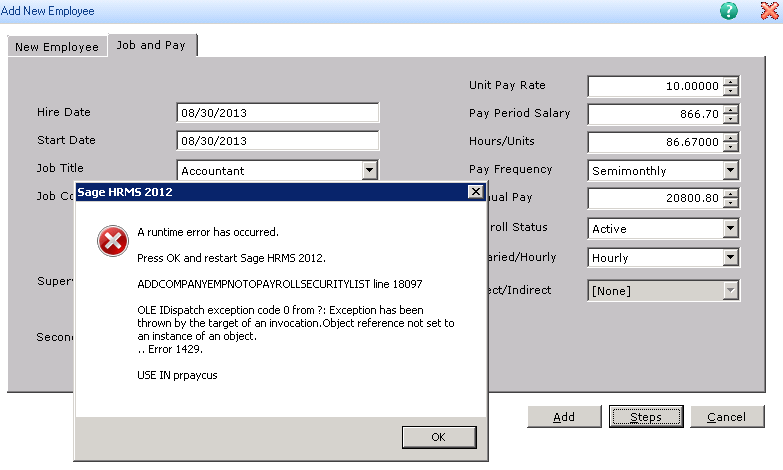 Issue: When the HR user wants to add a new hire, they get an error message during the process. First, let’s see what the error message may look at if you encounter it. 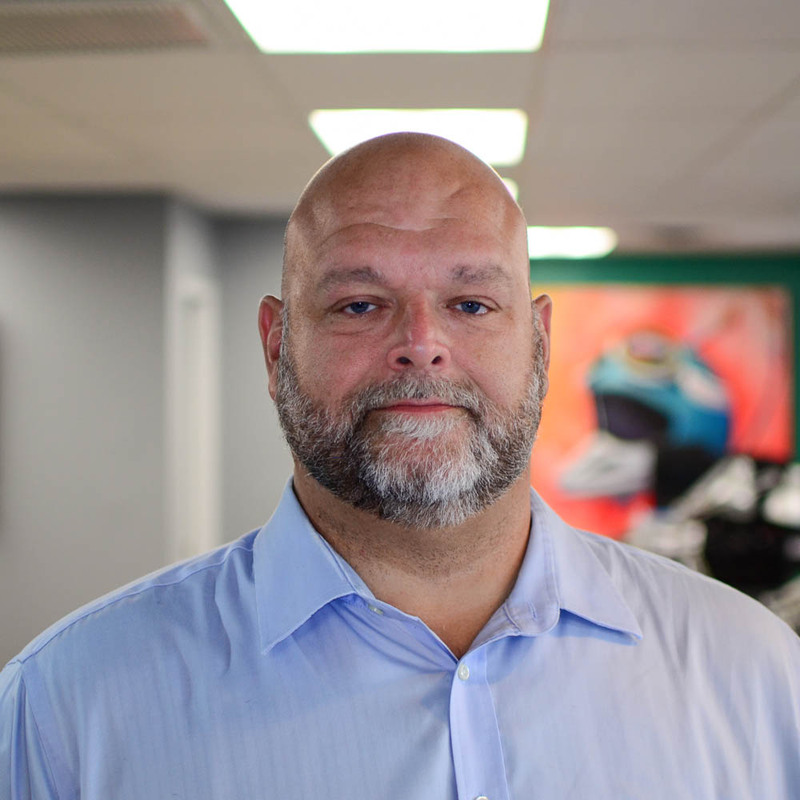 After signing into the HRMS system, you will go and setup a new hire. After entering the information asked for on the initial 2 tab, you normally would click on the Steps button to choose the steps you would like to complete. After clicking on the Steps button, you will encounter the error. So what is the issue here? Well, it has to do with security within the HRMS system. When setting up just a HR user with rights, the following 2 screen shots seem to be the appropriate method. However, because of the separate databases there is something on the Payroll side that a user needs to be able to access. And that thing is the Demographics on the payroll side. 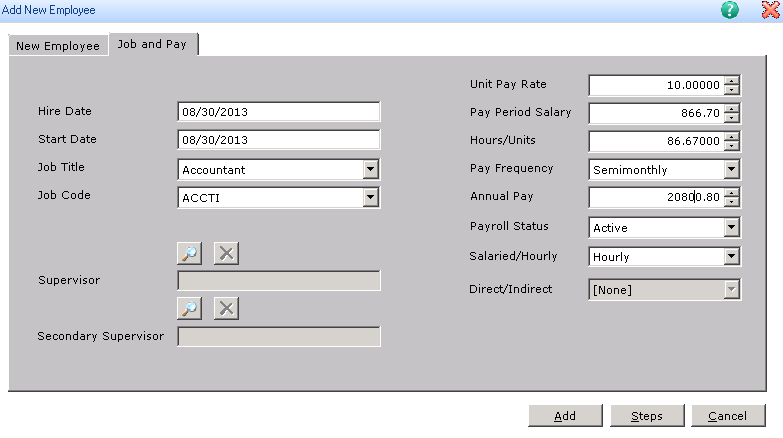 Both the HR and Payroll modules have a demographics screen. In the Abra Foxpro version, both modules shared the same demographics information. In the HRMS system, the information is kept separately in each, with the HR side updating the Payroll side automatically upon entry. Solution: You must add the Payroll product to an HR users security and then just limit their rights to demographics. 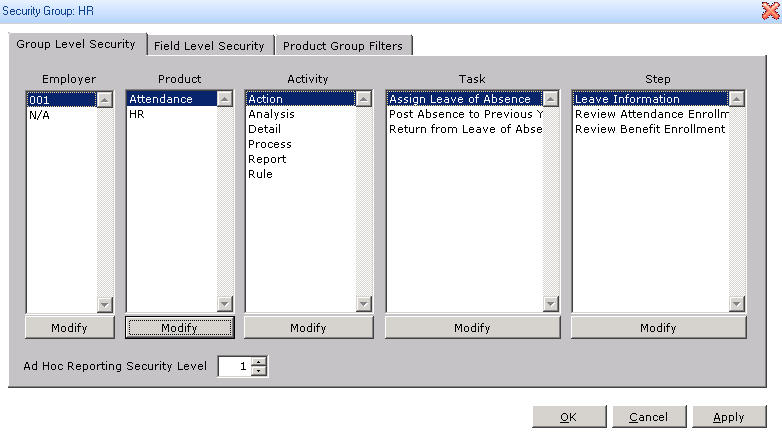 This allows them to do the Steps on a new hire without accessing the PR module.